The Wayne State Nature Explore Classroom is nestled in a corner behind Benthack Hall. Both the Child Development Lab School classes, as well as other early childhood classes, make use of the space throughout the year. 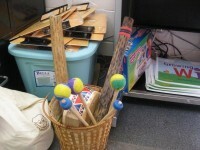 The Child Development Lab Preschool, known as Kiddie College, is used to increase the knowledge of nature education among college students in early childhood education. Young children in the community are also encouraged to come in and enjoy the wonders to be found in this outdoor classroom. 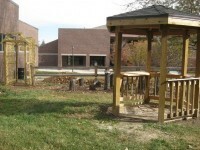 Many generous organizations, classes and colleagues were involved in helping complete the Nature Explore Classroom, including the Building and Grounds crew, the Campus Beautification Committee, the WSC Wrestling team, the Industrial Technology, Construction Management and Tech and Society classes. A pathway of plantings near the entrance of the Nature Explore Classroom invites children to “look closer” at the plants and insects there. 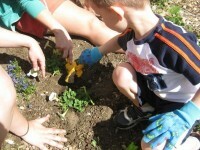 The children helped plant varieties of shrubs and annual and perennial flowering plants in the spring. 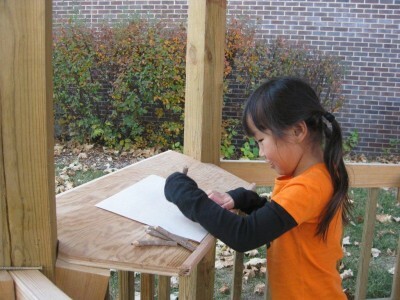 A centrally located gazebo, with tree cookie flooring, provides space for both building and nature art activities. 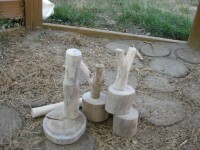 A unique raised log xylophone gives children the opportunity to create rhythms to be paired with other small musical instruments. A teepee has been included, which serves as a lovely area for visiting with friends or personal, quiet reflection. College students received a Growing Up Wild certification in early environmental education through the Nebraska Game and Parks Commission. Dr. Pamela Langlie, Associate Professor of Early Childhood Education, also developed a “nature explore” learning plan template for students to work on lesson plans specifically designed for nature activities.